As promised, here is a post about what follows late antiquity (and if the debate about ending ‘late’ antiquity interests you, be sure to read the comments of the post thereon). There are people who still use the term, such as an evangelical woman who once asked me if there were any Christians in the ‘Dark Ages’. Thunderstruck, I didn’t really have much of an answer; I also wasn’t sure what she meant by ‘Dark Ages’. Did she include the entire Middle Ages? I know that not everyone who uses the term includes the whole 1000-year period typically designated ‘mediaeval’, such as a friend who once remarked in a blog that Muslims dragged western Europe ‘kicking and screaming out of the Dark Ages.’ Usually, when the term crops up, it means something from the Fall of Rome until sometime in the Carolingian era or the 1000s or 1100s. No one’s really sure what the Dark Ages are, I guess; that’s a worse range of dates than we had for Late Antiquity. The Dark Ages are imagined to be a period of internecine warfare across ‘Europe’, an age when ‘barbarians’ took over the Roman Empire and everything went to pieces. Christianity was turned into superstition (if Constantine hadn’t already done it; it all depends whom you ask). Trade disappeared. People lived brutal, hard, short lives, plagued by fear of the supernatural and of Vikings. Learning was lost, shunned even. It was a dark time in western Europe, and was saved possibly by the Carolingian ‘Renaissance’ or by Islamic learning or by the Irish. Depends whom you ask. This, quite frankly, is not exactly the case. The change from Empire to barbarian kingdoms is a gradual one, and the movement from a Mediterranean-wide economy of exchange to local economies in the West is very slow, indeed. True, the aristocracy became landed warriors, one of the hallmarks of mediaeval civilization, but they still ruled by Roman Law, still levied Roman taxes, still wrote in Latin, for a very long time. Indeed, all sorts of Roman learning and aspects of Roman culture were preserved throughout western Europe, even in places where Roman administrative culture completely evaporated, such as Britain. How ‘dark’ can an age be if it gives us Gregory the Great, Isidore of Seville, Adamnan of Iona, the Venerable Bede, Alfred the Great, Alcuin? How ‘dark’ can a world really be that gives us the epic poem Beowulf or the Icelandic Sagas? 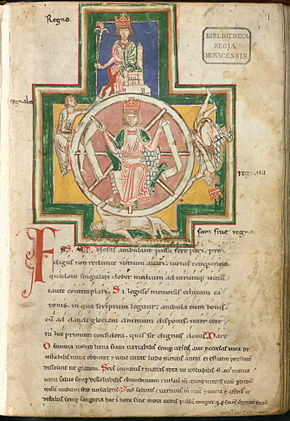 Or Romanesque architecture and the Lindisfarne Gospels? Any survey of Early Mediaeval literature should disabuse the notion that, say, 400-1000 was a ‘Dark Age’ for western Europe. Sure, there was a lot of local warfare. This didn’t really let up until 1945, so that can’t really count against the period. Sure, there was some political instability. Sure, a lot of manuscripts were lost. And, yes, Vikings would occasionally come to raid your village. Or found Dublin. Or conquer and settle Normandy. Or become members of the Emperor’s guard in Constantinople. Even the example of the Vikings, so archetypically ‘Dark Ages’ shows us that the image of the Early Middle Ages as ‘dark’ is off the mark. This was a transitional period, probably more unstable than some, but not so bad. Many imperial institutions persisted. The Church kept doing her thing. 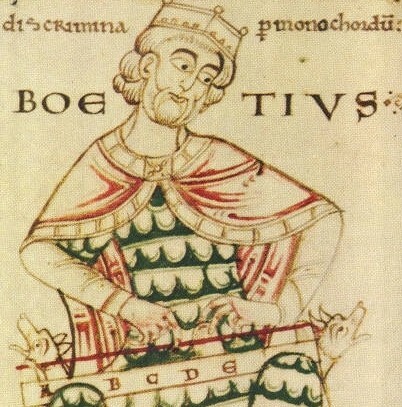 Gregory of Tours and the Venerable Bede gave us voluminous Latin output that includes Bible commentary, saints’ lives, and the history of their peoples. Worth reading. 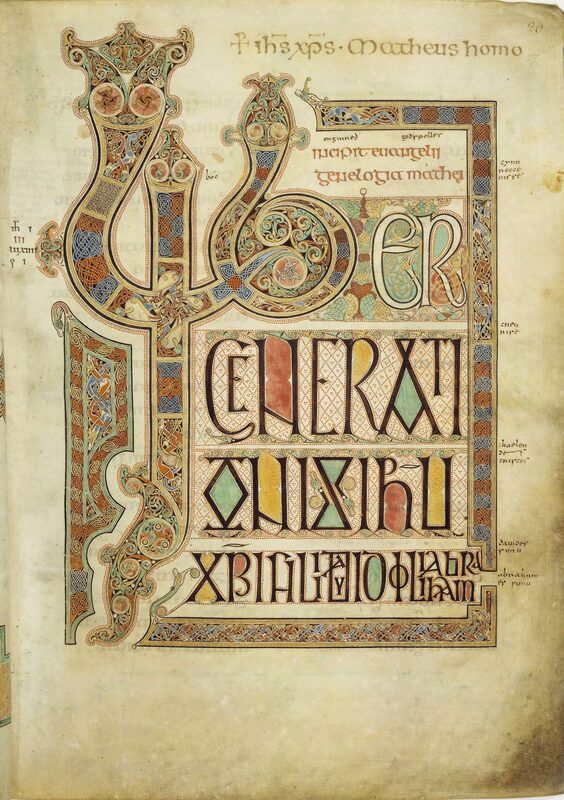 The Insular culture gave us the Book of Kells, the Lindisfarne Gospels, and other exquisite examples of book production. The continent gave us very important texts of secular and canon law as well as the beauty of early Romanesque art. Perhaps what is darkest about this period is our ignorance of it. Most ignorant are those who still call it ‘Dark.’ Yet in many other ways, historians have far less material from this period to work with. So it is harder to illuminate this age than those that precede and follow it. Nonetheless, it is worth illuminating yourself if you can. You’ll find that the Early Middle Ages are an interesting bit of history. So, check out these; I list only four so as not to weigh you down. Feel free to recommend others in the comments! The Inheritance of Rome: A History of Europe from 400 to 1000 by Chris Wickham; pub. Penguin. The introductory chapter deals with a lot of the reasons the Early Middle Ages are snubbed, and not just the ‘Dark Ages’ issue. I’m about 1/3 through, and it’s very illuminating. Romanesque by Norbert Wolf. This is one of those wonderful introductory volumes of art history produced by Taschen, full of colour illustrations demonstrating the subject at hand. Romanesque is the style of art and architecture most common in the Early Middle Ages. It is beautiful. The Anglo-Saxon World: An Anthology ed. and trans. Kevin Crossley-Holland, including the entirety of Beowulf. This Oxford World’s Classics volume gives the reader an initiation in the varied literature from the world of the Anglo-Saxon people until 1066, including poetry, sermons, chronicles, spells, riddles, letters, and land grants. The Consolation of Philosophy by Boethius. This piece of Latin philosophy, written primarily in verse, is a tour-de-force of late antique/early mediaeval philosophical writing that will make the reader rethink the allegedness ‘darkness’ of the 500s. This entry was posted in Books, History, Literature, Mediaeval and tagged boethius, chris wickham, consolation of philosophy, early middle ages, kevin crossley-holland, romanesque architecture, taschen, the anglo-saxon world, the dark ages never happened, the inheritance of rome, what are the dark ages on July 19, 2012 by MJH.